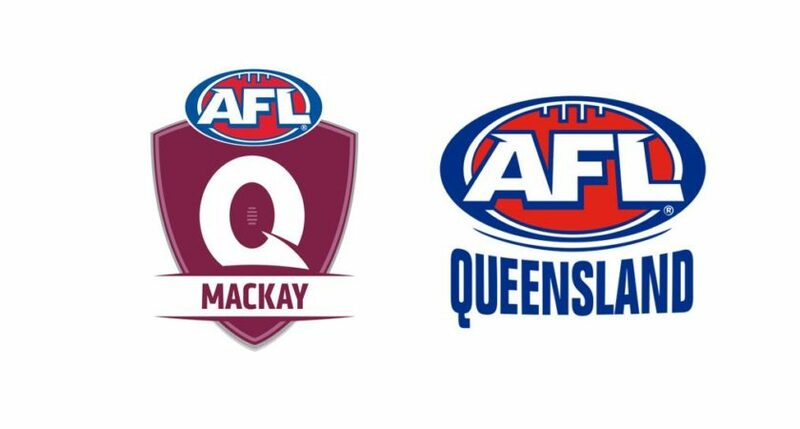 AFL Queensland today announced the appointment of the inaugural AFL Mackay Advisory Board. Over the past two years AFL Queensland has worked closely with Affiliate League boards and clubs on a new governance model that is aimed at reducing volunteer workload and improving the sustainability of competitions. Barry Gibson, State Football Operations Manager, said that Mackay clubs have really embraced having an AFL Queensland Competition Manager in place for the past two seasons and the Advisory Board is the next step in the governance evolution. “In working together with our clubs over the past two years we identified there was a clear need and a strong appetite for change in respect to the governance structure for football in the greater Mackay region,” Mr Gibson said. “With the Gold Coast Suns regularly bringing elite male and female talent content to Mackay, it’s a fantastic time for the new board to capitalise on the opportunities to advance the game throughout the region,” Mr Gibson added. The five person Advisory Board has been appointed based on their skill sets, with each member having clearly identified areas of responsibility to support the overall Board Charter. “It’s a real positive to have someone of Patrick Cunningham’s ilk and understanding of local football back involved in our game again and lead the board as Chairperson,” said Mr Gibson. Pat is currently a manager for a Queensland wide port authority and lives in Mackay. With an extensive management background, Pat is often described as a ‘respected’ and a ‘respectful’ leader, making him an approachable and engaging person thus an ideal candidate for the Chairperson’s role. Pat’s passion for AFL is evident in the many varied roles he has had at club & league level around Australia and as a Life Member of the Eastern Swans, he understands the local AFL environment. Despite many years of not being active in AFL, Pat believes that the new direction that AFL Queensland are taking is positive and this strategy can only benefit the game in communities. Stewart recently moved to Mackay from Western Australia with his wife and kids and has taken on the position as Director of Capital Works at the Mackay Regional Council (MRC). As part of the Executive Team at the MRC, Stewart is responsible for the effective management of a $140m + capital works program around the Mackay region. Stewart’s extensive Business Executive background, specialising in strategic planning, will bring considerable infrastructure expertise to the league and clubs within the AFL Mackay competition. A Fremantle Dockers supporter, Stewart’s passion for the AFL is evident and he is eager to support the growth of AFL within our communities to ensure we have a sustainable competition for years to come. Col is a Townsville born and Mackay raised local who first became involved with AFL in Mackay in 1976 when he joined the Bakers Creek Tigers as a junior. He went on to serve on the Bakers Creek Football Club Committee during the 1980’s and was involved in the club’s development in establishing a ground and facility at Bakers Creek. A 200 game player and life member of the Tigers, Col is looking forward to getting back involved in AFL at a board level. Col will take on the Partnerships portfolio and since being involved in the Mackay business arena since establishing his local business in 1997 (Col Joy Training Services) his business connections and experience with community groups will be of significant value to the AFL community. His business has raised over $150,000.00 in donations to the Queensland Cancer Fund through their annual Charity Golf day held at the Mackay Golf Club. Col looks forward to developing a positive connection with relevant organisations across our districts. Tegan Philpott is the Mornings Presenter at ABC Tropical North and has been a broadcaster in Mackay for over 20 years. She has broadcast from ships, cattle stations and schools, has stayed on air through the night as cyclones threatened the coastal communities and once completed a 20 hour on-air shift to help raise funds for a listener who suffered brain damage after an assault. Tegan’s commitment to the Tropical North has also included walking from Mackay to Airlie Beach to raise funds for the local rescue helicopter and is also a member of several community and reference boards, including the Mackay Stadium board. When she is not exploring the people and stories that make up life in the Tropical North, she loves spending time with her grandchildren. Tegan is excited by the opportunity to work with the AFL community & make a significant contribution to the marketing and health of our game in our regions. Originally from Mackay, Nicky’s career has spanned public administration, education, marketing, manufacturing, community engagement and events across both government and commercial organisations within Australia and internationally. Nicky is passionate about youth and education and the importance of physical activity in the development of young people. She is also passionate about the Mackay Region, and is driven by opportunities to link like-minded people and organisations, to pool resources and collaborate to benefit the community. Nicky currently heads up the Sales and Business Development team at the Mackay Entertainment and Convention Centre (MECC), and has been integral in setting up their nationally renowned youth engagement program, and most recently working nationally with event planners to drive conferencing visitation to the Mackay Region. Being a representative across key local and regional organisations and forums, Nicky brings with her experience and connections across diverse industry groups, and strengths in engaging in open and honest dialogue with key stakeholders.